It's been a long winter, but spring is finally here. Football will eventually return with it. 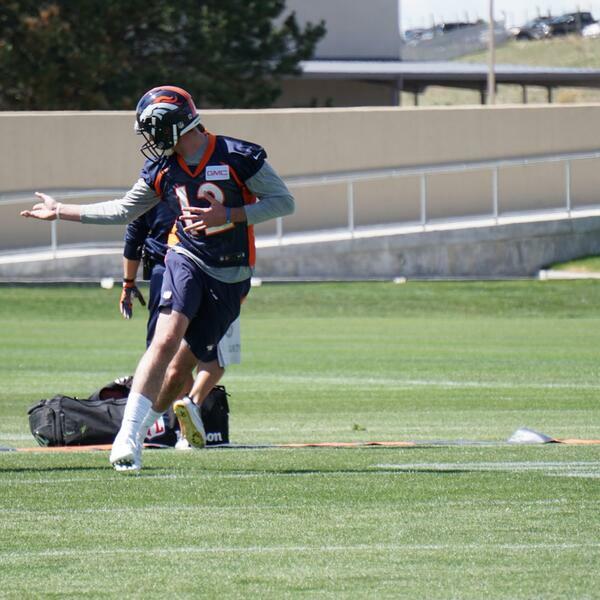 That became clear for the first time since the end of last season as the Denver Broncos took to the practice field for the first time on day one of veteran mini-camp. 5280 Sports Network's Jake Marsing was there and recaps everything he saw on the field and everything he heard in the press conferences following practice. Ty Sambrailo seems to have bulked up and looks ready to compete for the starting left tackle job, just like John Elway said he would. The quarterbacks both looked good, but Paxton Lynch looked especially impressive. Is that going to be a trend that continues? Has Aqib Talib actually learned his lesson after not being suspended? Jake discusses all that and more on this latest episode of the #Broncos Blitz. The Broncos Blitz comes to you from the Sportique Studio every week during the offseason and from the parking lot of the Broncos' UC Health Training Center headquarters daily during the season. It brings you all the news and analysis you could ever want out of a Broncos podcast. Epi 123: Broncos Blitz: Broncos Quarterbacks moving forward and should Paxton Lynch just relax?